Well, not too surprised, after all he truly deserves the honor. How long have you been involved in the Drupal community? I’m not involved with Drupal through my employer, I work in Marketing, but I got into Drupal through freelance. My first meet up was when the Using Drupal 6 book first came out. I would say that is when I first started getting involved in the community. So, that's close to 10 years now. 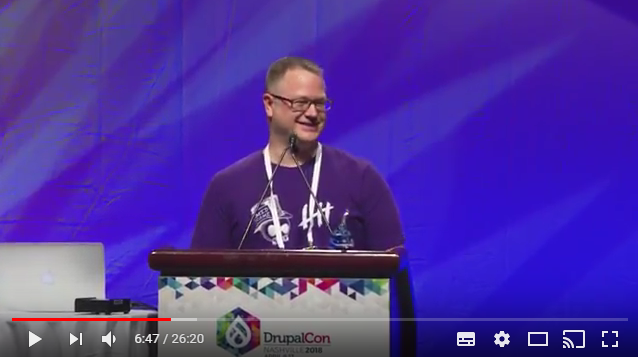 I started recording Drupal Camps back in 2013. The official Chicago Camp was having issues and so we as a far western Suburban group decided to have our own camp. I thought I could do some of the logistics and session recordings since that's what I do for work. I had the same setup with video cameras in the back of the room and I spent countless hours rebuilding these presentations. It's a similar process, but it's a very a different presentation between a marketer and someone from the Drupal community giving a presentation on diversity. A marketer might have 20 slides, but a Drupal talk may have 104. Everybody at the time was telling me I was insane for doing this, but my response was, "Nope, it's important." In 2014 was the first MIDCamp and we were able to get the DA recording kits. But that was not great either. There was a lot of setup, they were expensive to ship them back and forth, they didn't work terribly well, so that's when Avi Schwab ( https://www.drupal.org/u/froboy) and I started collaborating. He did all the setup for the laptops and I did all the running around from room to room and post production. We brainstormed and I started doing research. The next Suburban Camp is when I had my first test kit for what I am using today. I saw that you recorded Pacific Northwest Drupal Summit remotely this year? Can you share that experience with us? That's a funny story. It was the same weekend as Jersey Camp and I tend to favor camps I have already recorded. They had committed before Pacific Northwest Drupal Summit and when Amber Matz saw me at BADCAmp, I explained the conflict. I told her I had started working on the next step and would be shipping the kits to camps. I sat with her and showed her how the kit worked and she said it didn't seem too difficult, and we said "Let's do this". I got a new case, sent 5 kits to them. It's funny how talking with the organizers of camps helps all of this come together. Because later at New England Camp, I was explaining to one of their organizers how I was shipping kits and he suggested labeling the cables. I thought that was brilliant so I got a label maker and labeled all the cables. I wrote out more a detailed instruction guide, and all these things were things I had been meaning to do. I sent 5 kits, insured FedEx for around $50, whereas the DA sends this giant pelican case that must cost hundreds of dollars. That was part of the plan originally; we wanted something lightweight and easy to use. I heard they had an 84% capture rate which is a great start. The issue is that non-Macs recordings have no sound and so I have to lay up the backup recording into the video. A lot of times that back up recorder gets turned off or stopped for some reason. While I was in Florida I started working on pinpointing why non-Mac machines don't have audio. Later, I had mixed success at MIDCamp, I captured a couple, some didn't work, one being an Ubuntu build. At lunch I worked with that presenter to test various setups and we found a setup that worked. Once I can crack that nut, then shipping with even more instructions will increase the capture rates. Now that you're capturing some camps remote, how does that cut into how much you like to travel? I do like to travel, but there are a couple of issues. A) I can't be everywhere. B) I am potentially doing 13 or 14 camps this year. Which is cool now, but it may not be cool in couple of years. And C) I don't do Drupal at work and when I first starting doing this I was using all my PTO. I don’t do any Drupal at work, but I brought back all kinds of information and my boss recognized that. She said I could count those as remote days, but of course there's a limit. There is a balance to be found between visiting the camps and sending the kits remotely. What are some of your favorite camps? Everybody asks me that, that question is not fair. I like them all. It's generally the places I know the most people and/or I go ahead of time to play before camp starts. I am not a solo traveller, so if I know a lot of people at the camp I tend to like those: Badcamp, Twin Cities, St. Louis, Texas (cuz of Austin), and Montreal. What are the things you like to do before a camp that makes it more fun? HaHaHa, eat and drink all the things. Bar Crawls, Food Crawls, you name it. Have you given any thought to helping with camps outside the States? I would like to, but it’s a time and cost issue. The camps now reimburse my travel expenses. To fly to a European camp - I don’t know if that would be in their budget. It’s interesting, Mauricio Dinarte tailed me for a few camps and he wanted, and he did, get some kits to start recording Nicaragua. One day he tweeted that he saw my kits at Drupal Camp Antwerp. It’s cool to see how these things grow organically. There’s not a camp that goes by where someone from the community doesn’t ask me about how everything works. Kevin’s not just the guy who reminds us all to push the red button. He is the guy who loans out his phone when a presenter is doing a live demo and needs an internet hotspot. He is the guy spending hours during and after Drupal Camps piecing together audio and video for maximum quality. 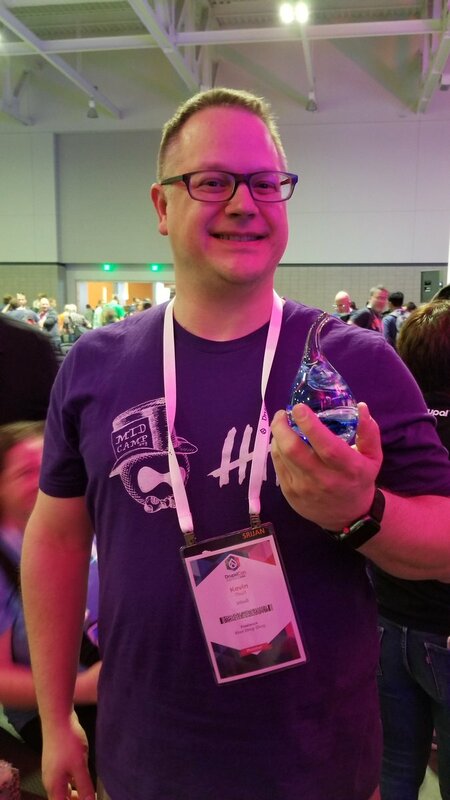 The Drupal Community has so much to thank him for, the Aaron Winborn award couldn’t have been awarded to anyone more deserving. Thank you Kevin for your contribution to community, for sharing your story with us, and for being a most excellent secret keeper! And thank you to the hundreds of volunteers that make Drupal Camps, Cons, meetups and picnics a success every year. And thank you AmyJune Hineline (volkswagenchick on drupal.org) for this most excellent Drupal Community Spotlight article! 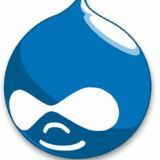 Syndicated content from the Drupal Developers Blog. Development announcements, new Drupal versions, security patches, updates and more!